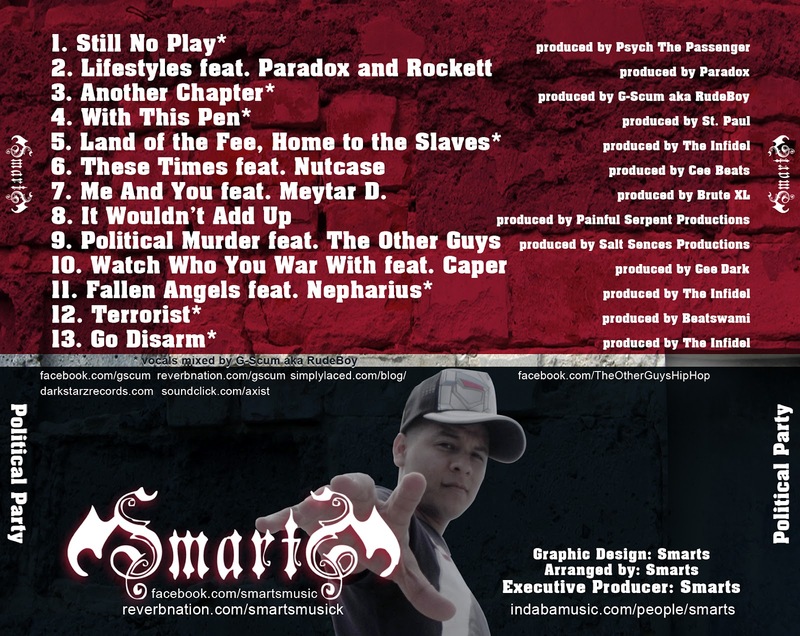 Smarts - Political Party (2012) Out now! 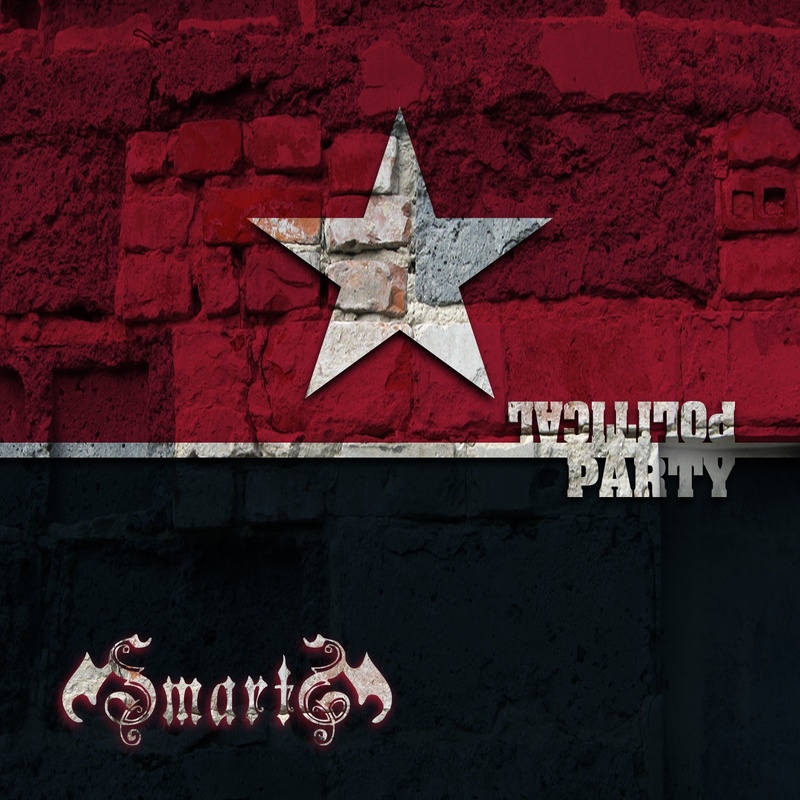 Smarts released his latest album, entitled "Political Party", through Darkstarz Records on April 26, 2012. The album consists of 13 tracks, and offer guest appearances from artists like: Paradox, Rockett, Nutcase, Meytar D, Caper, and Nepharius. 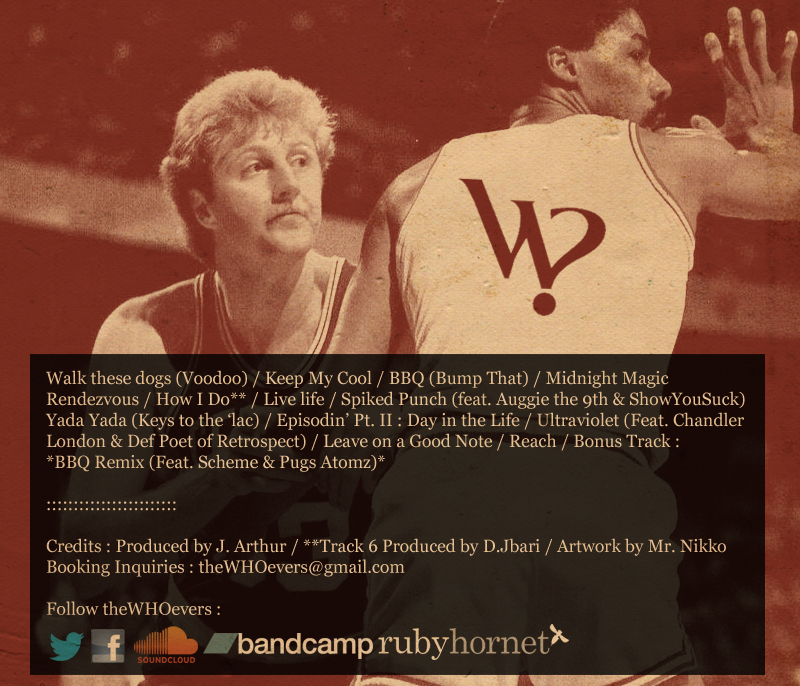 theWHOevers - RedTape (2012) Out now! theWHOevers released the new album, entitled "RedTape", on September 19, 2012. The album consists of 13 tracks w/ One Bonus Track. All tracks is produced by J. Arthur, except of track number 06, "How I Do"; which is produced by D.Jbari. 7evenThirty - Heaven's Computer (2012) Out now! 7evenThirty releases his brand new album, "Heaven's Computer", through Mello Music Group. The album consists of 14 tracks, and offer guest appearances from artists like: 5-D, Coke Bumaye, DJ Phingaprint, DJ Phyia, Gensu Dean, Headkrack, Ivisuai, Kamikaze, Laurie Walker, Mo Ney Stax, and Sleep Will. Productions from: 5-D, 7evenThirty, Erik L, and M. Slago. The album is 7evenThirty's debut on the independent record label Mello Music Group - One of the best indie labels there is nowadays. Constantly pushing out the realest hip hop, Mello Music Group now give you this brand new release from 7evenThirty. "Heaven's Computer" is 100 hundred percent pure Hip Hop album - in it's realest form. A true Sci-Fi Apocalyptic journey through space-deep beats and lyricism as it should be. S-R-H-H Ent. Will actually go so far to say that this is maybe the album of the year, so far, which really is some big words, in a year where the great hip hop albums has dropped one after another. But, this is without a doubt an instant classic album, and you should definitely purchase this, and add it to your collection - U will not regret. Support Real Hip Hop! 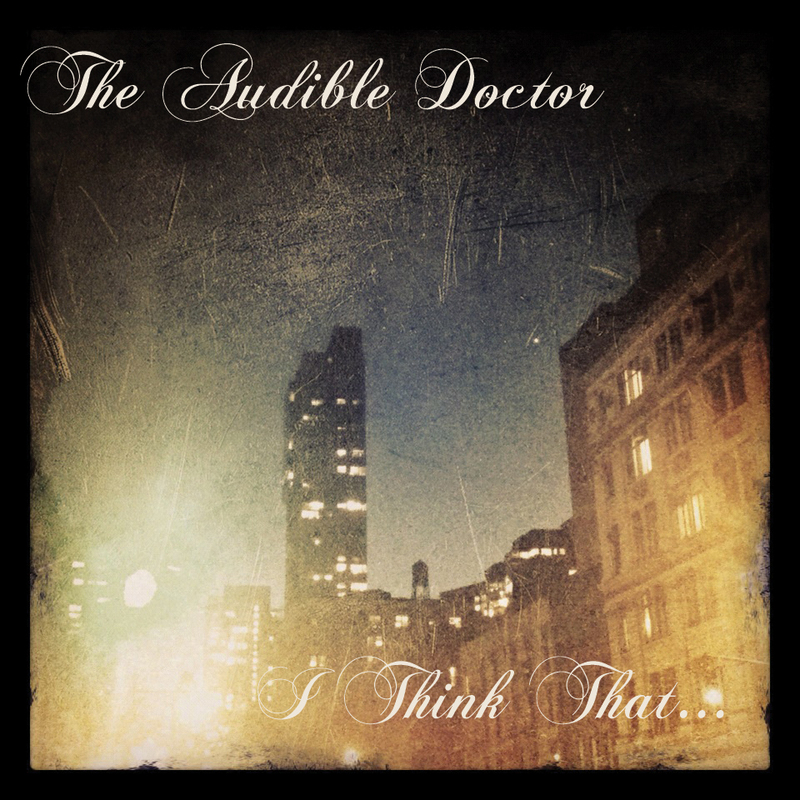 The Audible Doctor - "I Think That..." (2012) Out now! The Audible Doctor finally releases his brand new, and first solo release, entitled "I Think That...". The Audible Doctor has been rhyming and producing tracks for many years now, but this is actually his first official solo release where he is featured on every track. The EP consists of 11 tracks, and offer guest appearances from artists like: Chaundon, Chuuwee, Elzhi, Von Pea of Tanya Morgan, Blacastan, Wise Intelligent of Poor Righteous Teachers, Silent Knight, KON, Rasheed Chappell, YC The Cynic, and Soul Khan. Cuts from DJ Brace. Productions by: DJ Brace, marink, DJ Dyllemma, & The Audible Doctor. Caper - Strike of the Lyrics (2012) Out now! 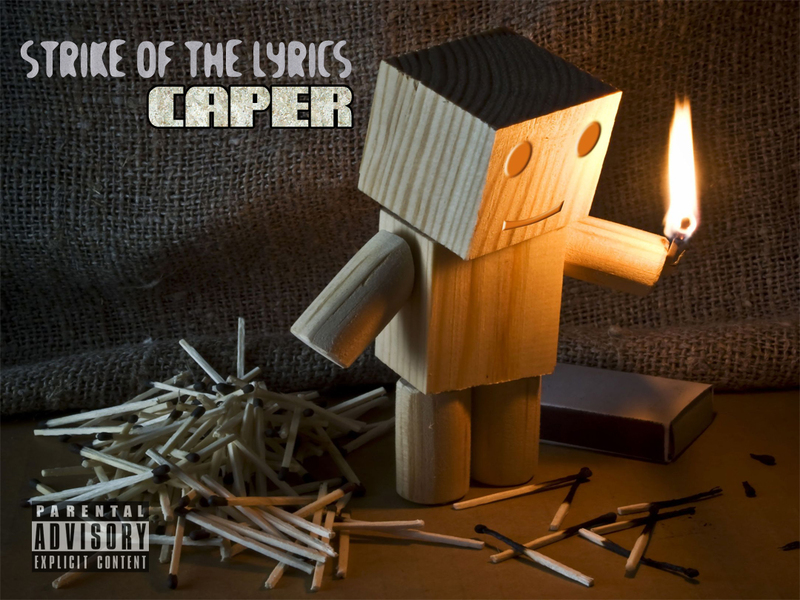 Caper releases the new album, "Strike of the Lyrics", for free through Darkstarz Records. The album consists of 16 tracks, and offer guest appearances from artists like Smarts, PCP, and GodMode. The album was released on August 27, 2012. Audible Doctor drops final leak from "I Think That..."
The Audible Doctor drops the final leak from the upcoming EP, "I Think That...", who drops next week for free download. Check out the new track "Andy Kaufman Theory", which according to the artist "Speak for itself!" below. 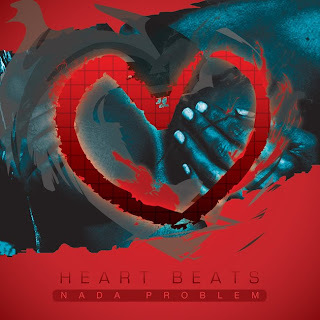 Nada Problem - Heart Beats (2012) Out now! Nada Problem releases the brand new album, "Heart Beats", through third party CD Baby. The album consists of 12 tracks, and offer guest appearances from artists like: Copywrite, Emma Lee, Epiphany, Huck Finn, Joe Average, Maskara, and Othello of Lightheaded. Productions from: Allrounda Productions, Apollo Lane, Cashous Clay, Open Sound Productions, Sinima, The Unbeatables, West, and hala-X. 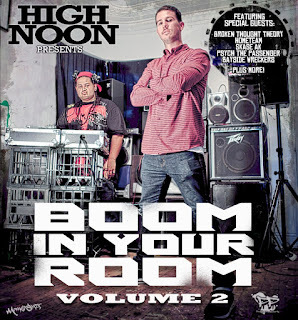 High Noon - Boom In Your Room Volume 2 (2012) Out now! 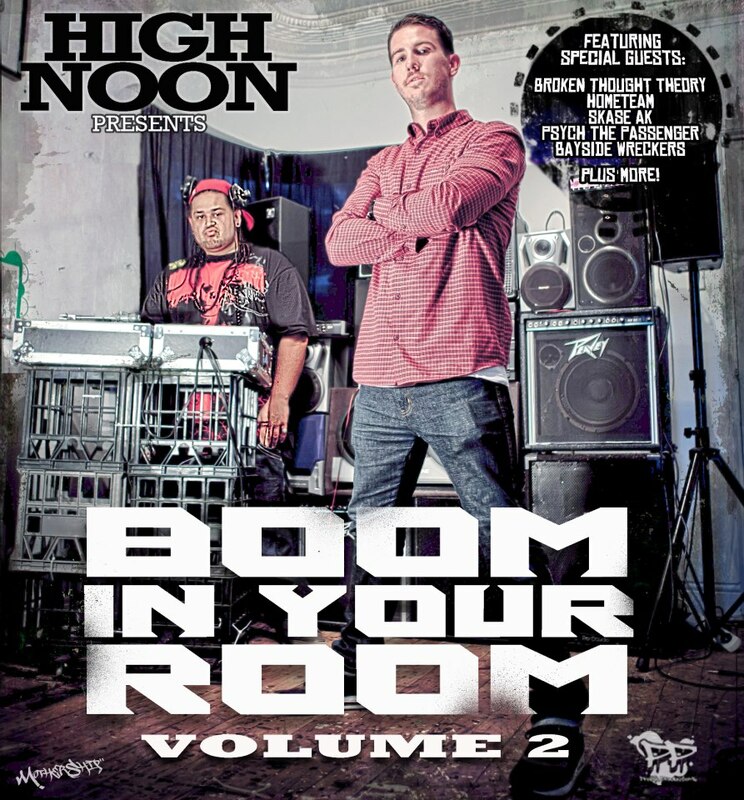 The Hip Hop group High Noon (Semantic & Prolifik The Gifted) releases their 3rd release, "Boom In Your Room Volume 2". A true 90's style Boom-Bap Mixtape, which includes whole 28 tracks. The Mixtape offer guest appearances from artists like: DLB, EaRelevant, State Advanced, VCee, Skase Ak, Psych The Passenger, and Long John Johnson. 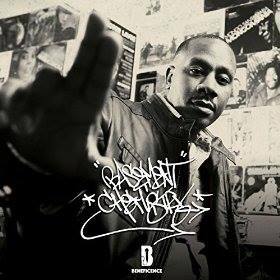 Beats by: DJ Grumble, Ta-ku, Herbaliser, Just Blaze, DJ Premier, Sound Providers, Doc Singe, Freddie Joachim, One Love Beats, Classified, Craig Mack, & Pete Rock. 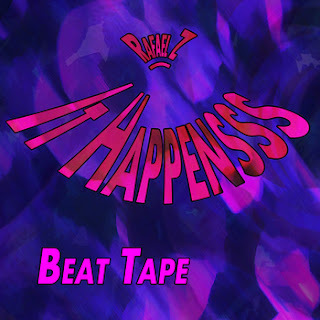 Rafael Z - It Happensss Beat Tape (2012) Out now! Rafael Z releases his brand new instrumentals album, called "It Happensss Beat Tape". The album was released on August 28, 2012, and you can now check out a lot from the album on KdawG's Official YouTube channel. Check out this excellent instrumentals from Rafael Z - The Tape is 100 percent free through his official Bandcamp. 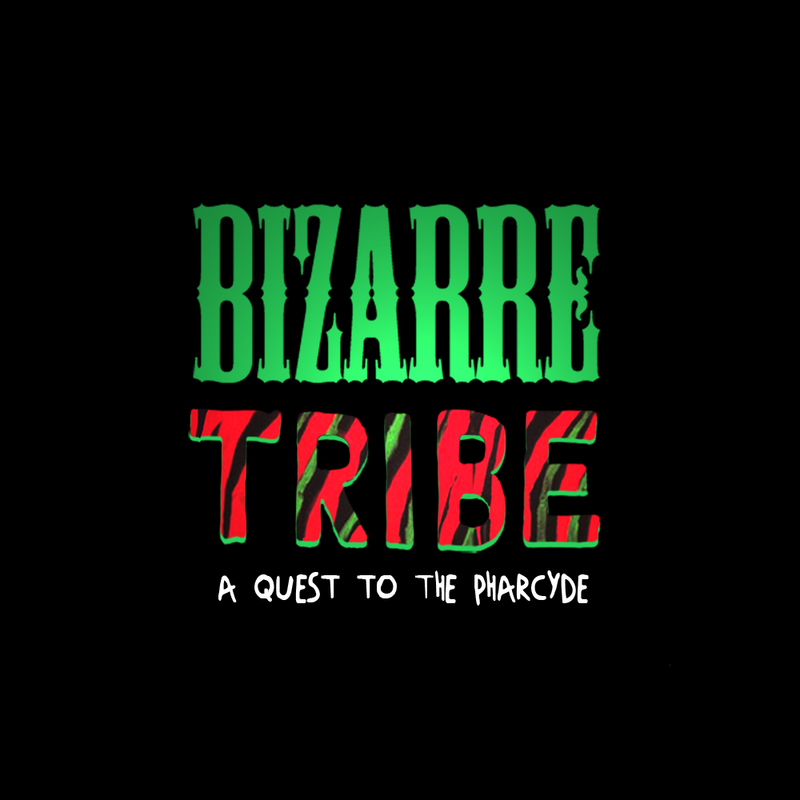 Amerigo Gazaway releases the new album, "Bizarre Tribe: A Quest to The Pharcyde", through Gummy Soul. 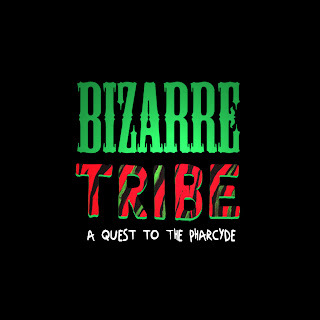 The album consists of 14 tracks, and offer guest appearances from artists like: Kriminul, Sublime, The Pharcyde, and Black Moon. KdawG often promote albums with around two tracks from new releases. But in the meantime after some time, there may be released a few more tracks from the respective albums after some weeks or months. You can now check out more music from artists like Kevlaar 7, the group Dark Time Sunshine, Adlib, and Alias & Fakts One. Dark Time Sunshine - "ANX" released August 07, 2012. You can now check out one more track from this album, on KdawG's Official YouTube channel. Three tracks is available as well. 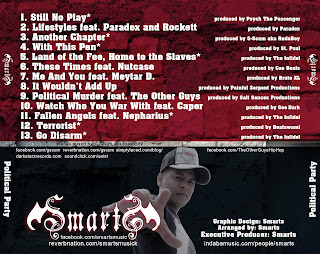 Check out more from "ANX"
Kevlaar 7 - "Die Ageless" released May 29, 2012. You can now check out five more tracks from this album, on KdawG's Official YouTube channel. Eight tracks is available as well. 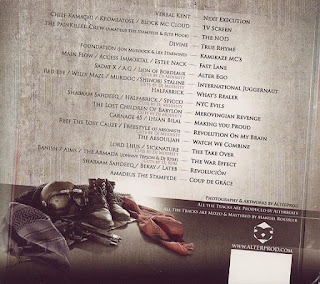 Check out more from "Die Ageless"
Alias & Fakts One - "Second Chances" released August 07, 2012. You can now check out one more track from this album, on KdawG's Official YouTube channel. Three tracks is available as well. Check out more from "Second Chances"
Adlib - "Bad Intentions" released July 17, 2012. You can now check out one more track from this album, on KdawG's Official YouTube channel. Two tracks is available as well. Check out more from "Bad Intentions"
Adlib - Bad Intentions (2012) Out now! Dark Time Sunshine - ANX (2012) Out now! Kevlaar 7 & Woodenchainz - Sophisticated Movement (2012) Out now! 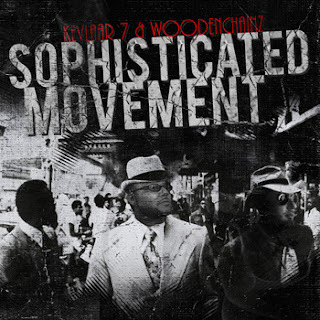 Kevlaar 7 of the Wisemen and Woodenchainz release their new album, entitled "Sophisticated Movement", through Black Day in July Productions and Lake Effect Music. The album consists of 15 tracks, and offer guest appearances from artists like: Shake Cee, The Wise Kids, Styles P, Bronze Nazareth of the Wisemen, Rain the Quiet Storm, IllahDayz of the Wisemen, Willie Waze, S-Class Sonny, and June Megalodon of the Wisemen. Cuts & Scratches by DJ Tricky on track number 11, entitled "Boulevard Article 2". 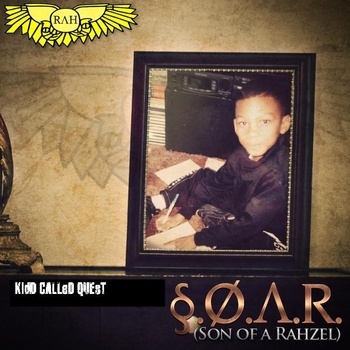 Kidd Called Quest brings you a brand new mix of the Rahzel Jr. Track entitled S.O.A.R. (Son of a Rahzel), taken from Rahzel's upcoming EP (drops October 18th, 2012) called "Rahzilla EP", through S.N.R.C., LLC. 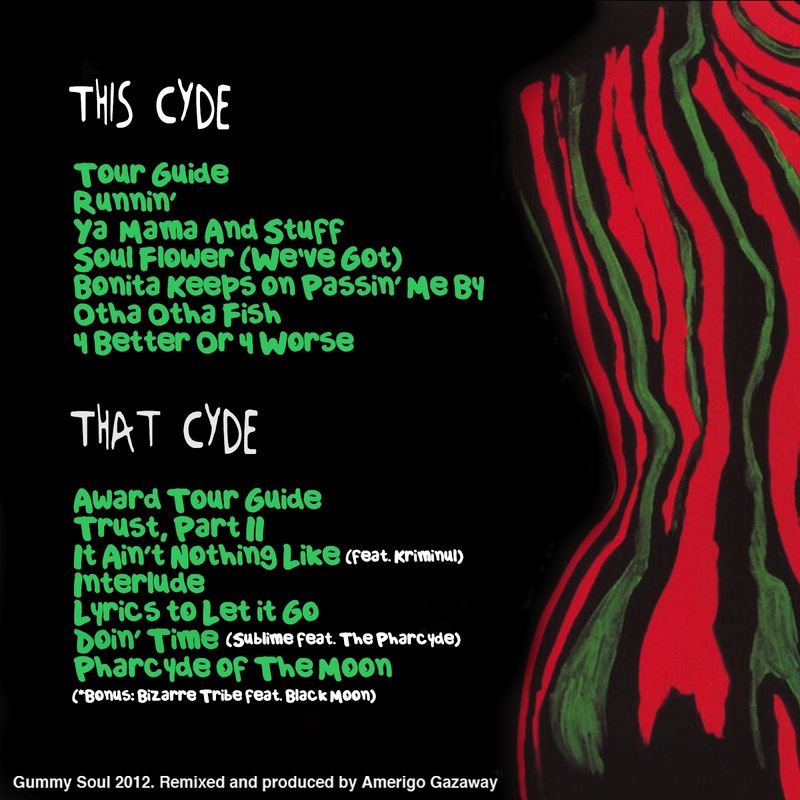 The mix by Kidd Called Quest aka Jay Quest was released on September 12, 2012. Mogly & Anonamix - Mogly & Anonamix - The Damned (2012) Out now! 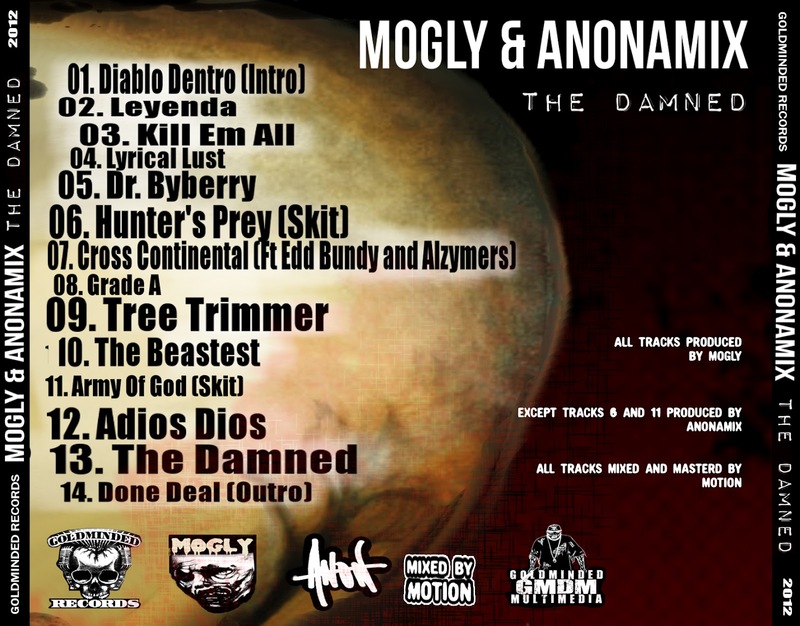 Mogly & Anonamix releases their new collaborations album, entitled "The Damned", through Goldminded Records. The album consists of 14 tracks, and offer guest appearances from artists like: Edd Bundy, Alzymerz, and TMB. 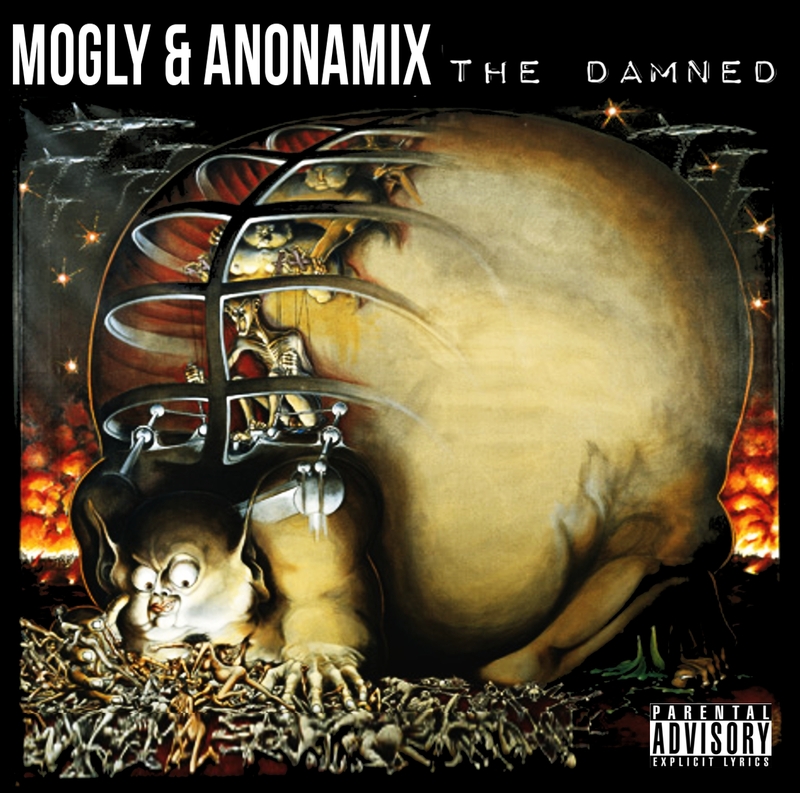 The album is entirely produced by Mogly, except of track number 06 and 11, who is produced by Anonamix. Mixed by Motion, cuts by: TMB. The Audible Doctor dropped his newest official leak from his upcoming free EP, "I Think That...", today. 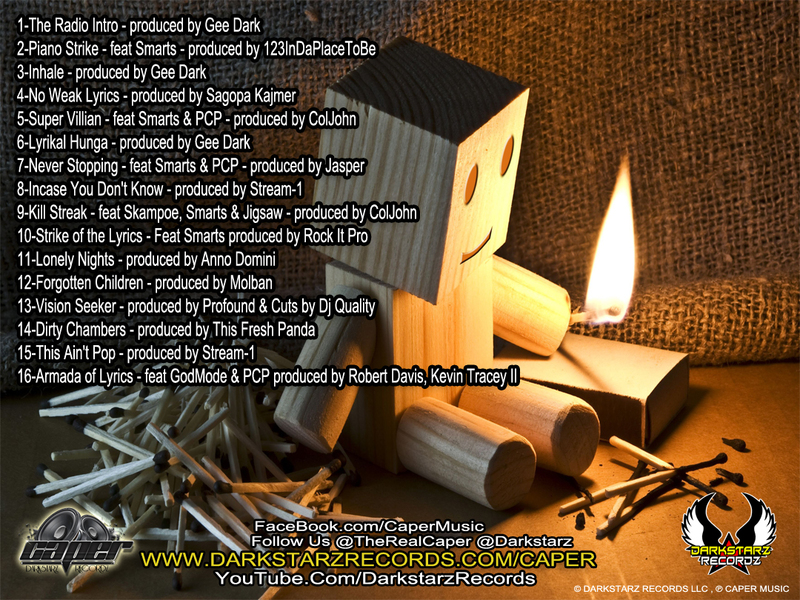 The new tracks is entitled "Genuine" and features Blacastan and Wise Intelligent of Poor Righteous Teachers. The track is produced by The Audible Doctor. The full EP "I Think That..." drops on september 25, 2012. 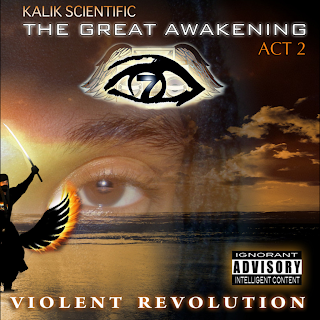 Kalik Scientific released his album, entitled "The Great Awakening, Act 2: Violent Revolution", on June 21, 2010. The album consists of 12 tracks, and offer guest appearances from artists like: Despo, Fierce Flows, Kasim Allah, and Tommie James. 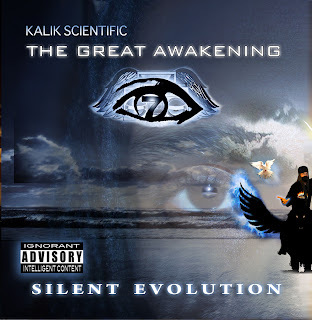 The artist brings you a spiritual, conscious, and revolutionary message through this great, great album. Support Real Hip Hop! 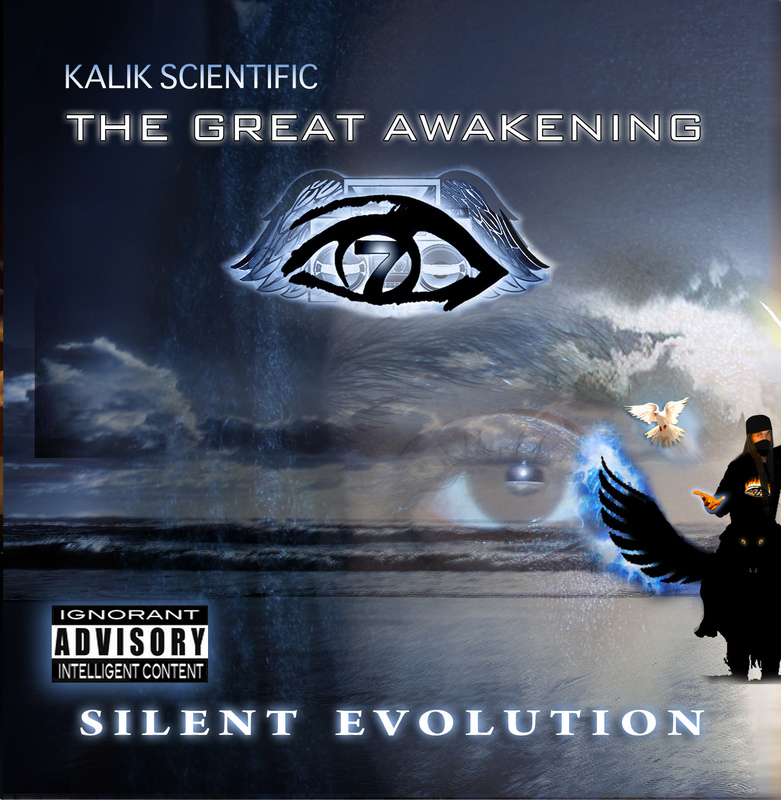 Kalik Scientific released his album, entitled "The Great Awakening: Silent Evolution", on march 28, 2011. The album consists of 13 tracks, and offer guest appearances from: Locdoors and Pure Nyce. You can now check out some tracks from the album on YouTube as promo. 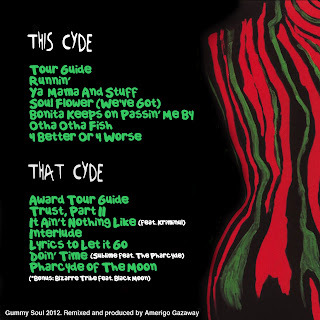 This album is a great spiritual, and revolutionary hip hop album, so it is really recommended to support this. 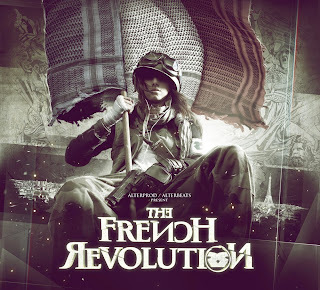 Alterbeats released the latest album, called "The French Revolution", through Alterprod. The album consists of 18 tracks, and offer guest appearances from artists like: A.G. of D.I.T.C., Access Immortal, Aims, Amadeus The Stampede, Banish, Bekay, Block McCloud of Brooklyn Academy, Carnage 45, Chief Kamachi, DJ Modesty, Divine, Estee Nack of Tragic Allies, Freestyle of Arsonists, Halfabrick, Ihsan Bilal, Kromeatose, Lateb The God of Heddshotts & Zombie Death Squad, Lion Of Bordeaux, Lord Lhus, Lost Children Of Babylon, Main Flow, Murdoc, Red Eye, Reef The Lost Cauze, Sadat X of Brand Nubian, Shabaam Sahdeeq of Polyrhythm Addicts, Shinoby Staline, Sicknature of Snowgoons, Spicco, The Absouljah, The Armada (Johnny Teflon & DJ Rybe), The Foundation (Jon Murdock & Lex Starwind), The Painkiller Crew (Amadeus The Stampede & Rite Hook), Verbal Kent, and Willie Maze. Entirely produced by Alterbeats. 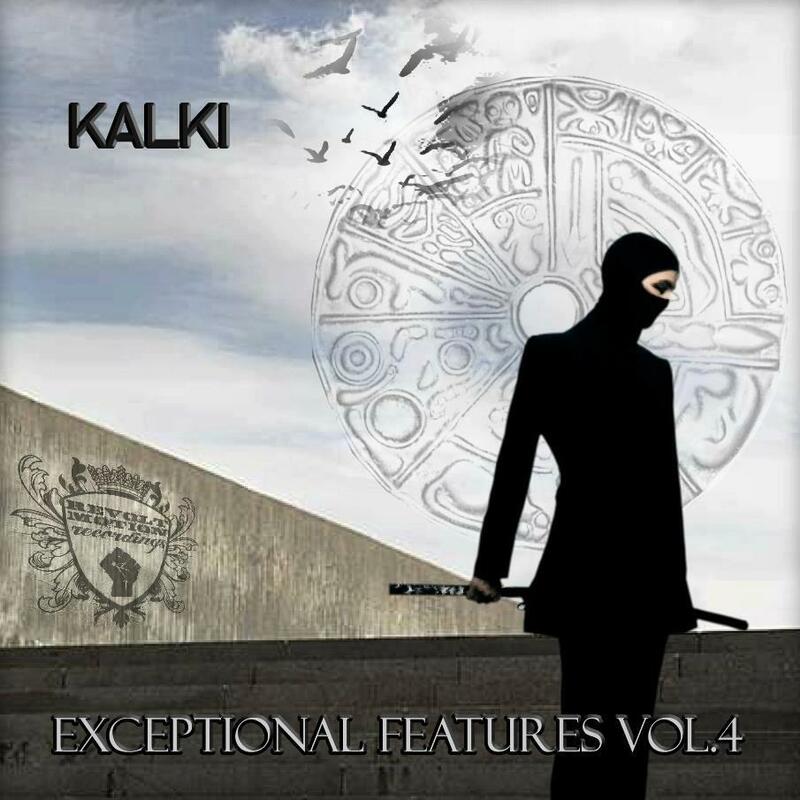 Kalki - Exceptional Features Vol. 4 (2012) Out now! Kalki releases the fourth album in the "Exceptional Features" series. The album consists of 12 tracks, and offer guest appearances from artists like: Antahkarana Heru Ki Nabu, Trust One of Jewelz Infinite, SaintTellah, Secret Swords, Addage, L.E.O., Espionage, Opus Oh, Son of Saturn, Grom, Pro Pyatno, Erks Orion, Autonymous, Tom Van Aken, Info Red, and Ali Dahesh. Productions from: See Big, Elhuana, Espionage, Merky Waters, Daemon Beats aka Earwax, Blunted Sultan, Old Child, Anno Domini Beats, Tom Van Aken, and Phirious Beats. Substantial - Home Is Where The Art Is (2012) Out now! 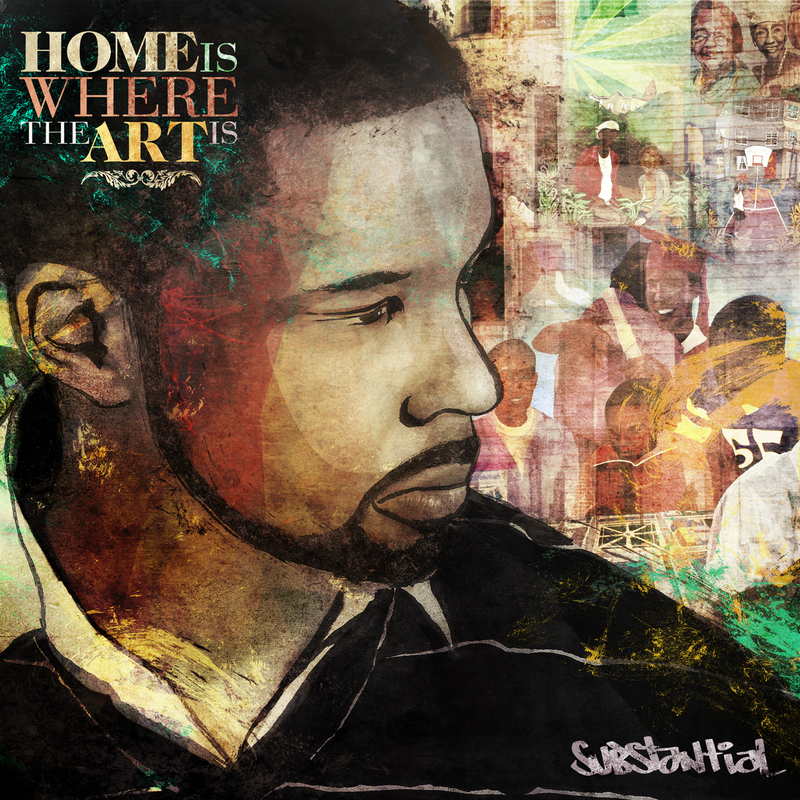 Substantial releases the new album, "Home Is Where The Art Is", through Mello Music Group. 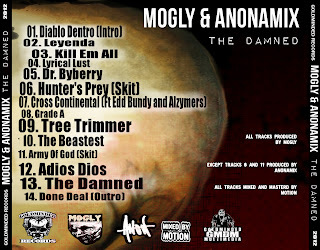 The album consists of 12 tracks, and offer guest appearances from artists like: Acem of Gods'lla, DJ G.I. Joe, DJ Jav, Deacon The Villain of Cunninlynguists, Kenn Starr, Kokayi, Olivier Daysoul, and Steph, The Sapphic Songstress. 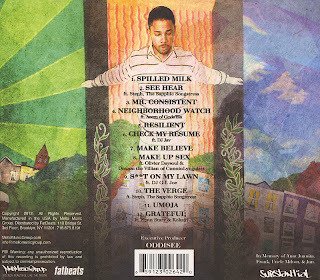 Productions from: Algorythm of the Stuyvesants, Eric Lau, M-Phazes, Oddisse, Slopfunkdust, Street Orchestra, and Surock. 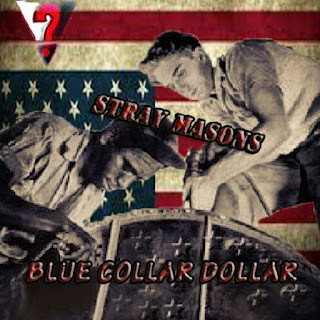 Stray Masons - Blue Collar Dollar (2012) Out now! Stray Masons (D-Min & Lazarus) proudly presents their official debut mixtape, entitled "Blue Collar Dollar". 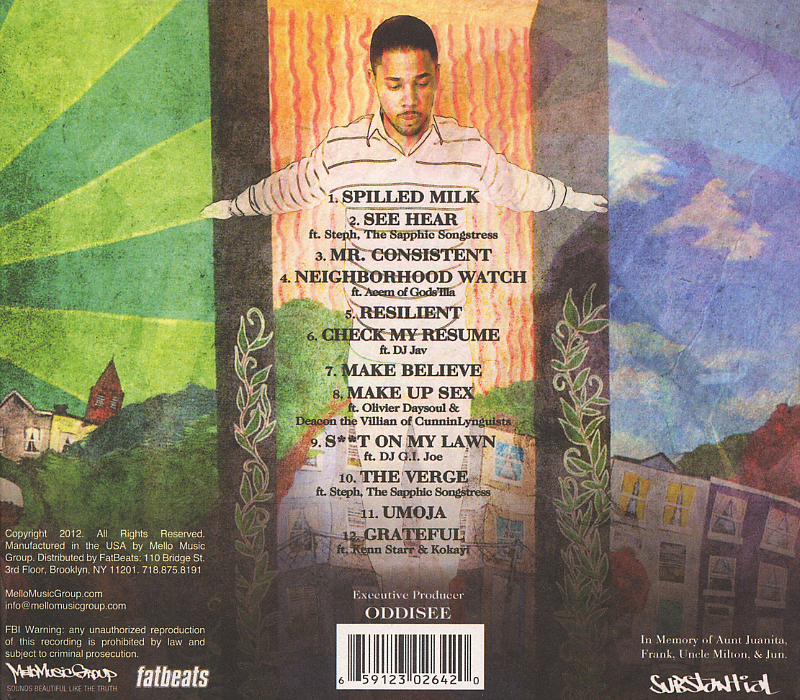 The tape consists of 11 tracks, entirely produced by Lazarus of Stray Masons. Vocals by D-Min and Lazarus. Support real revolutionary hip hop - The Mixtape is for free, so support it through the listen of it!